It’s possible that your granite countertop costed you a small fortune to purchase and repair. Understandably so, granite is a very durable, gorgeous material to choose as your countertops. Unfortunately, accidents do occur and these countertops can chip, and crack. We can help restore your natural stone with granite countertop repair in NYC. The natural stone specialists at Statewide Stone Care are experts at repairing your granite to its former, attractive appearance. We take meticulous steps to ensure that your granite is repaired using quality products and equipment in combination with our own leading methods and procedures. We are passionate about natural stone and believe it enhances the appeal of any home. We take granite countertop repair in NYC as seriously, with the same understanding employed to restore the stunning, unique qualities found in your granite stone. We have the knowledge and experience to ensure that your countertop will look beautiful once we complete the job. While you may be motivated to take on the repair yourself we do urge against it. Not having the right tools and understanding the proper methods could lead to further, irreversible damages. Let us help you to avoid that with granite countertop repair in NYC so your countertop can return to its former state. Accidents that cause cracks or chipping are very common with granite countertops. You can be absolutely careful and take proper care of it, but accidents do occur. We want to make sure your granite countertop lasts you a lifetime, and remains something you’ll be proud of until you’re ready to move onto something new. Granite has a timeless quality that really elevates the aesthetic appeal of any space. The important thing to remember at the point of a fissure is to make sure its condition doesn’t become any worse. This is why it’s best to call us in to take care of the matter. These cracks can grow larger if put under weight or frequent irritation. If possible, cover the affected area with something that would discourage people from placing things or using that area of your countertops. 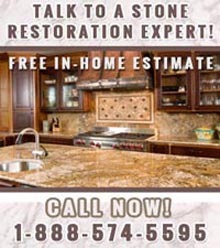 If you have any questions about our granite countertop repair services please feel free to contact us. We’ll be happy to address any inquiries or concerns you may have. For more information about our professional granite countertop repair in NYC, call Statewide Stone Care at (888) 574-5595.